Kalifornia Love: Physicians Formula Shimmer Strips Gel CreamLiner for "Hazel Eyes" & "Brown Eyes" (Review & Swatches) WARNING: Picture Heavy!! 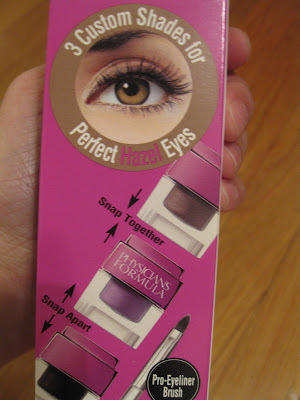 Physicians Formula Shimmer Strips Gel CreamLiner for "Hazel Eyes" & "Brown Eyes" (Review & Swatches) WARNING: Picture Heavy!! I bought the Physicians Formula Gel CreamLiners months ago –like at the beginning of the year so it’s been in the files for quite a while. At $11.99 each, these are a fantastic deal since you’re getting 3 liners so you’re basically 4 bucks a pop (compared to $15 MAC Fluidline or Stila Smudgepot.) I remember being so hyped up for these to come I got them the day the shipment came! The Hazel Eyes Set "closed" back up fine but when I twisted the caps on all the containers to the Brown Eyes Set, it didn't line up correctly. It closed up really unevenly. 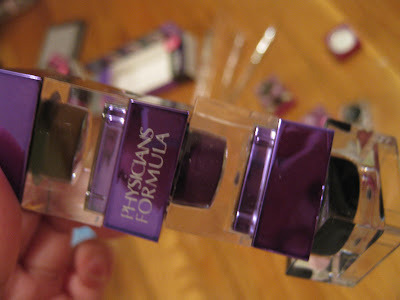 The Packaging: The outside “box” packaging is fun –it’s like their Shimmer Strips eyeshadows. 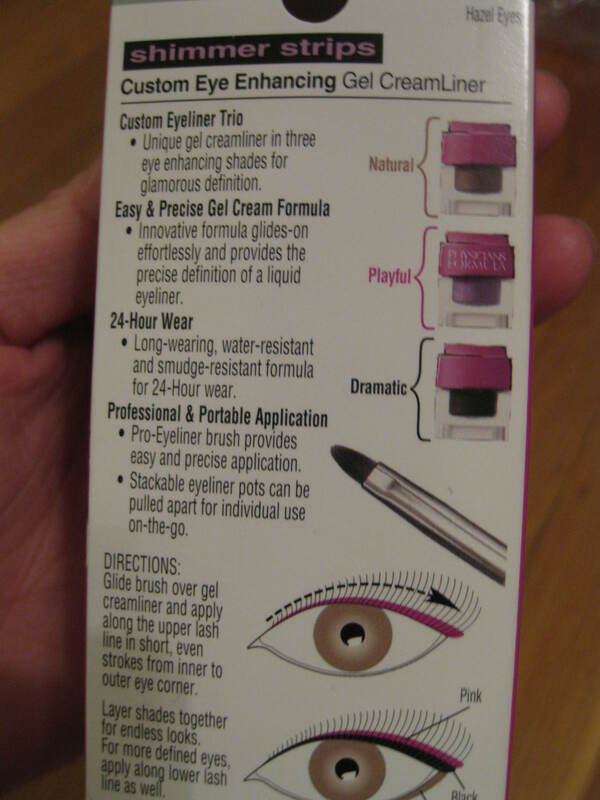 The box shows the 3 looks and in the back are instructions. The actual liners come in stackable cubes sort of like legos or if you’ve ever bought mineral makeup in stacks. The cubes connect together so that the lid of one liner is actually the bottom of the other and so on. 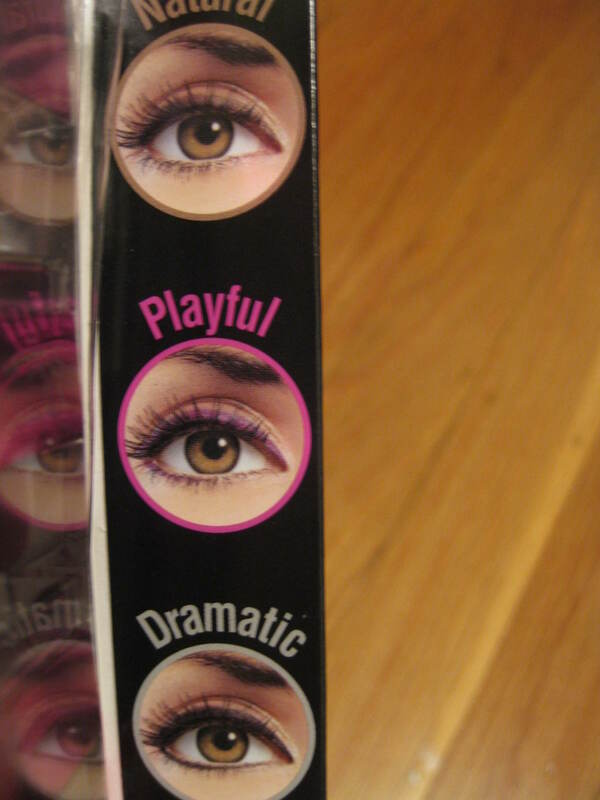 Each set comes when different “color bands” depending on the eye color. Brown eyes comes in purple “bands”, hazel eyes with pink, blue eyes with blue, and green eyes with green. The bands are a mirror type material so it’s highly prone to finger prints –not a good look. Above: Black (Brown Eyes Set) It's hard to see the blue glitter but it's in there. Above: Pink (Hazel Eyes Set) See the silver glitter? Above: Black (Hazel Eyes Set) Pink glitter! The Product: I really like these liners. They’re smudgeproof and waterproof and wear perfectly all day for me. I’m not sure if they’re “gel” or “cream” as I was under the impression that liners are usually one or the other but I’ve never seen anything else marked as “gel and cream” –I guess they’re both?! Anyways, the majority of the colors are pigmented and you won’t need to “go over” your line twice. Also, you’ll need a good makeup remover to remove these liners. I really don’t have much to say about these. The consistency is good, the variety is great, and the fact that it’s longwearing is fabulous. 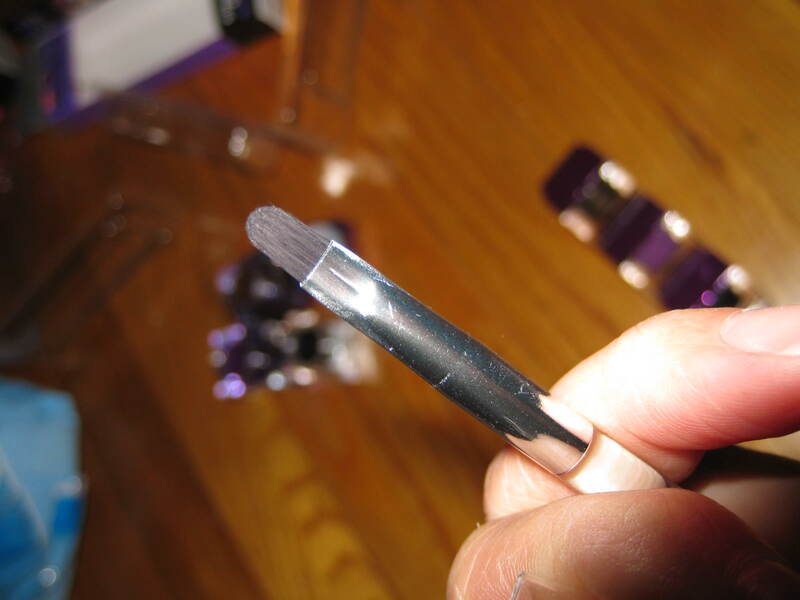 Btw, I never tried the brush but it looks way bigger than my other liner brushes. UPDATE: I've noticed some minor "streakiness issues" with a few colors from both sets (Purple, Pink, and black from both sets) so I'm lowering the A- grade to a B+. The Color: Looking at the Brown Eyes and Hazel Eyes sets in the store, the colors all looked exactly the same (black, brown, purple) so I was super delighted when I found out all the colors were different. 1. 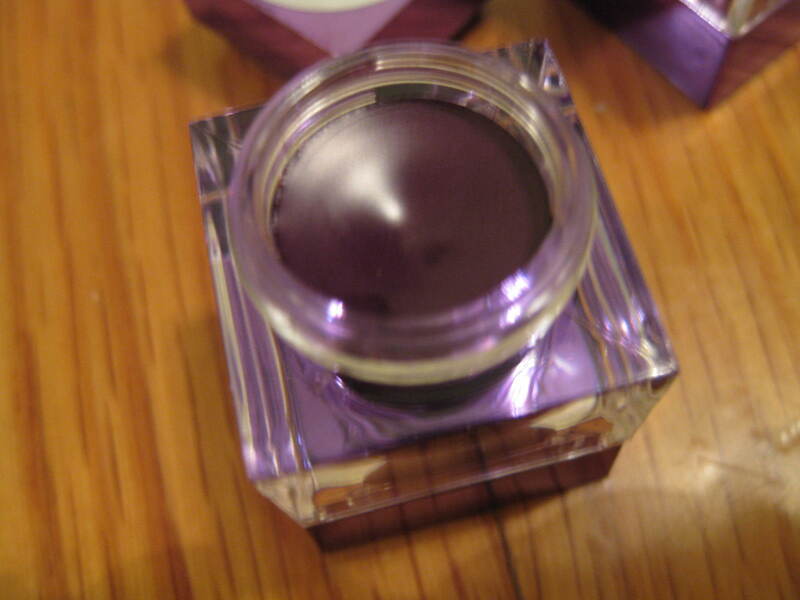 Espresso- This is an almost pigmented, matte, rich, dark brown. If you look closely, there’s some minor shimmer. It’s very neutral and inbetween medium and very dark brown. 2. 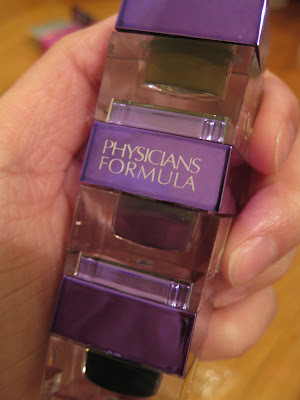 Purple- This was my least favorite out of the bunch because it wasn’t as pigmented as the others. The color is a plummy darkish purple with pink shimmer. Because it’s so sheer, I have to go back over it about 2 or 3 times to achieve decent color payoff. 3. Black- I love this! 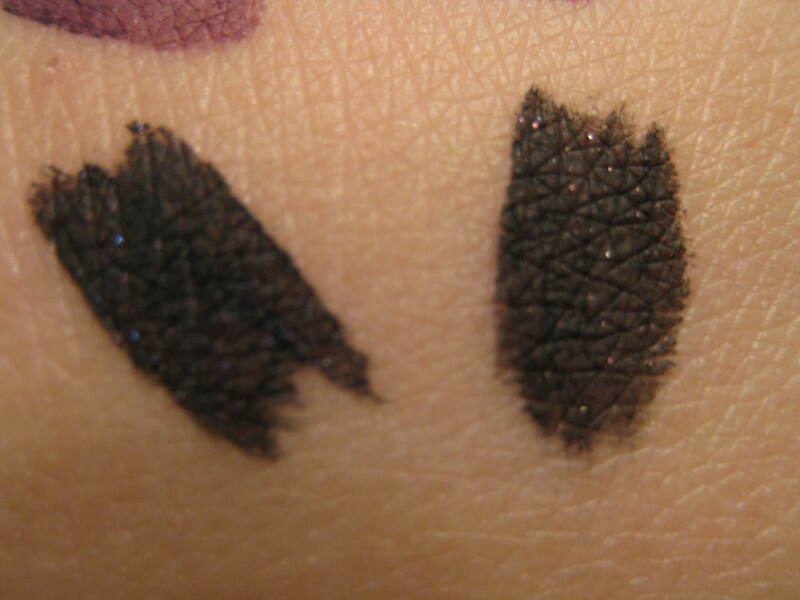 This looks like a typical black liner one has small blue specks of shimmer and I don’t have another liner like it. I’m excited for this! 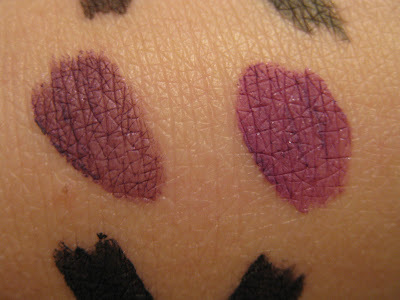 The pigmentation is great and not at all streaky. 1. Taupe- This is lighter than the brown from the Brown Eyes Set. 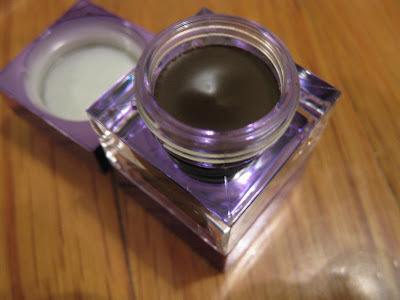 It's like a dulled down antiqued brown taupe with dull bronze and shimmer. Whew! That’s a long description. It also has good color payoff. 2. Pink- This is so pretty. 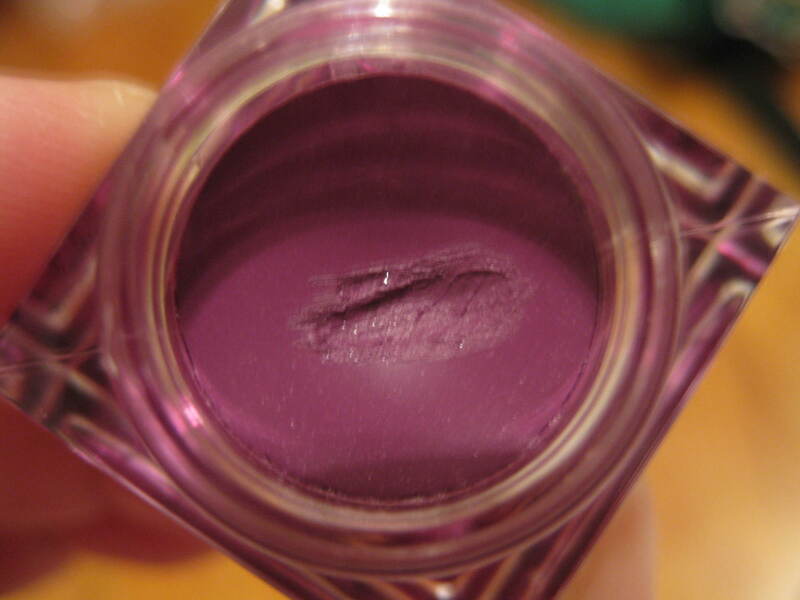 This is a medium toned pinkish purple color with silver shimmer. This has good color payoff but not as good as the brown or black. 3. 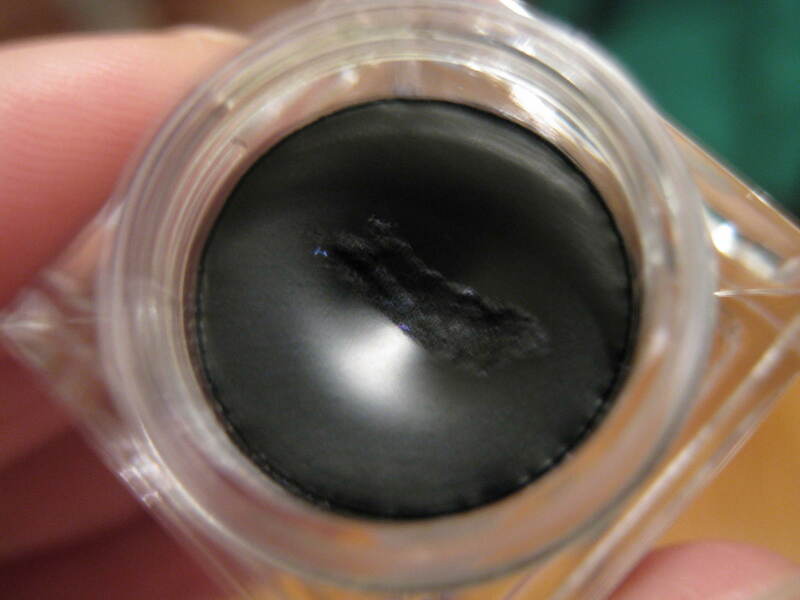 Black- This has colored shimmer too but it’s not blue. It’s pink! 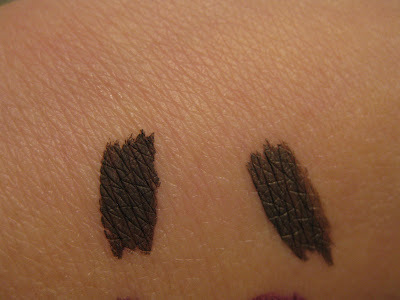 I’m so happy that even the black liners from the 2 sets are different. 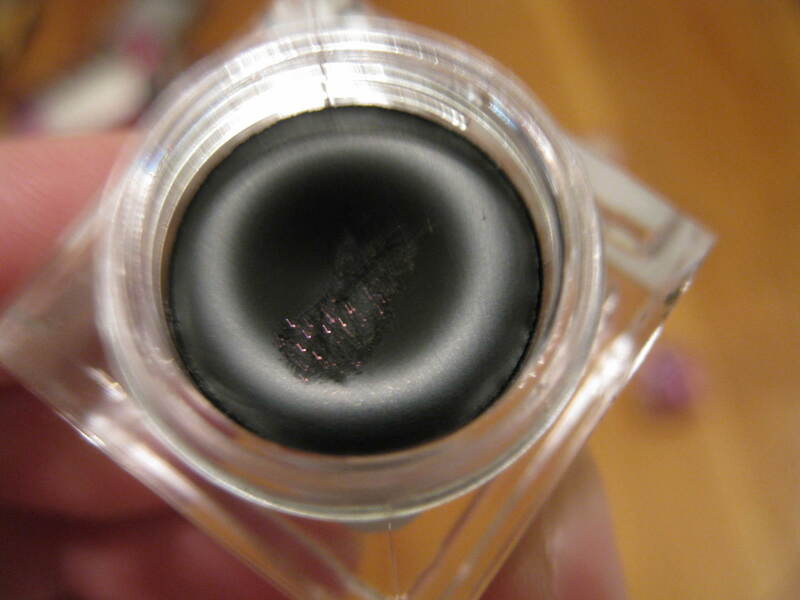 This is a rich black with pink shimmer. 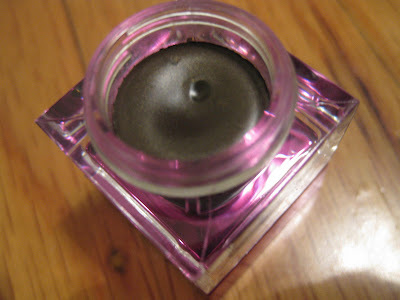 It’s kind of like the Stila “Little Black Dress” smudge pot from the Barbie collection. 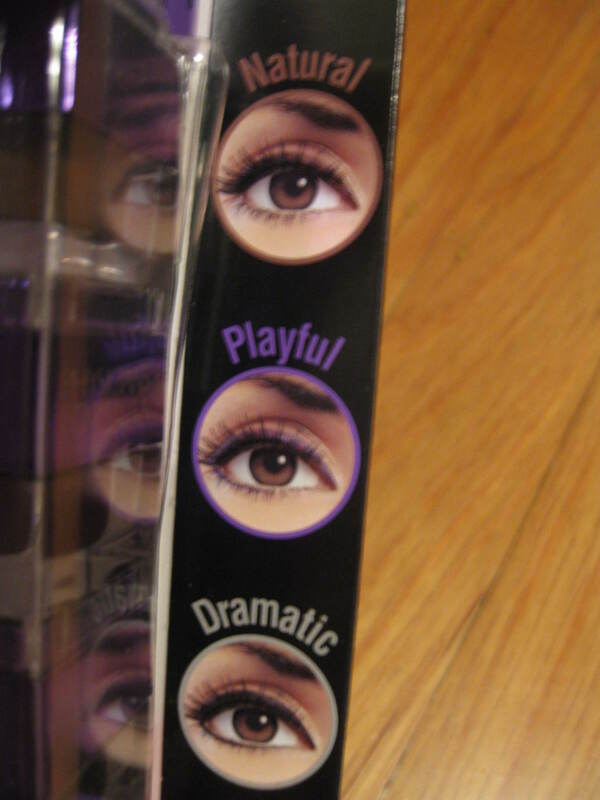 Above (from left): Column 1 (from top) Brown Eyes Set- Espresso, Purple, Black. Column 2 (from top) Hazel Eyes Set- Taupe, Pink, Black. 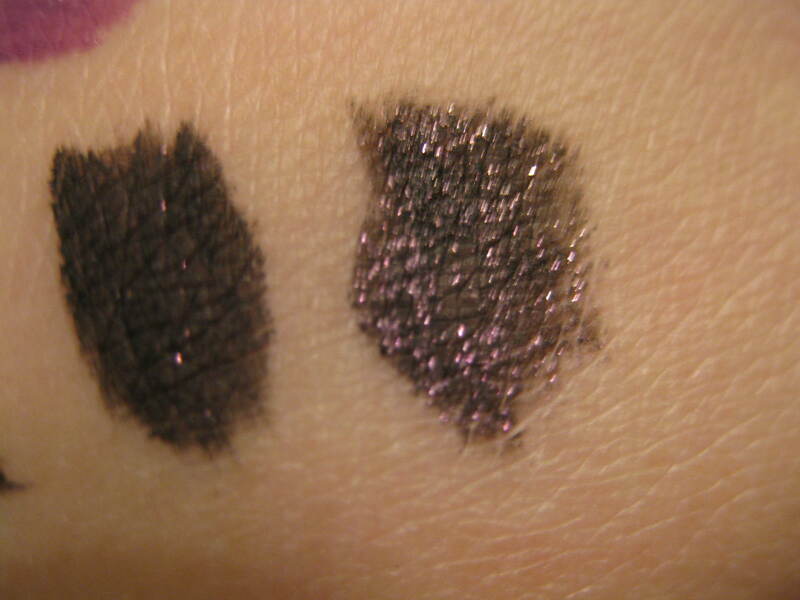 Above (from left): Black (Hazel Eyes Set, Stila Smudge Pot in "Little Black Dress"
Overall: I’m very happy with these. They’re good quality and they’re extremely cheap compared to all the other gel/cream liners out there. I paid $17.49 (BOGO at CVS) for 6 cream liners –a pretty good deal if you ask me. One MAC Fluidline is I think $15 now so that’s pretty cool. 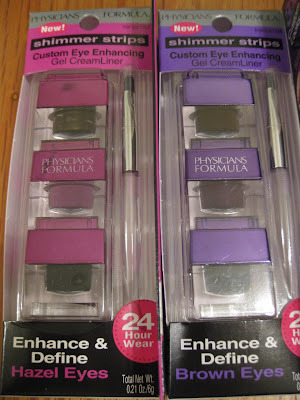 I think these are great for anyone who wants lots of colored liners without paying such a hefty price. 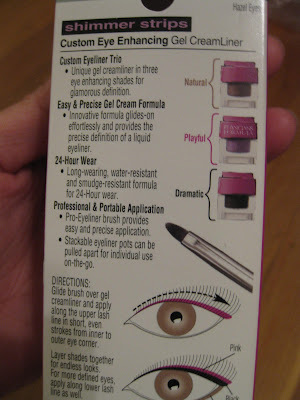 They’re also good for anyone who just wants to try cream liners or anyone who just loves liners in general (like me!) 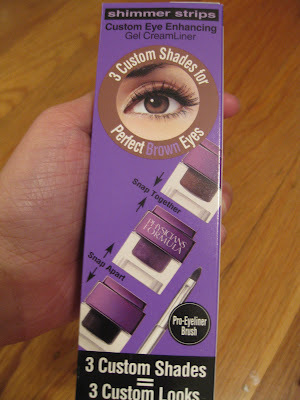 The only downside was the Brown Eyes Set not closing up “perfectly” –I ended up giving it away since I hate little “perfection” issues like that. 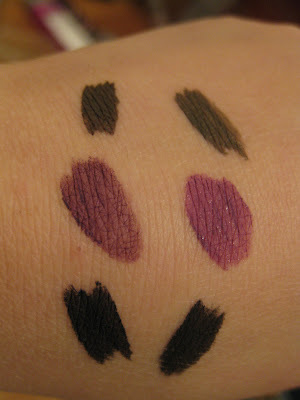 Also, there were issues with the streakiness of a few shades. 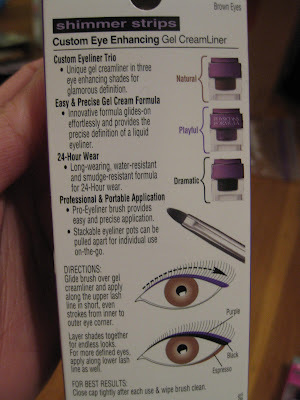 I’ll most likely be buying the Blue Eyes Set next but I have to admit I prefer to use liquid liners. 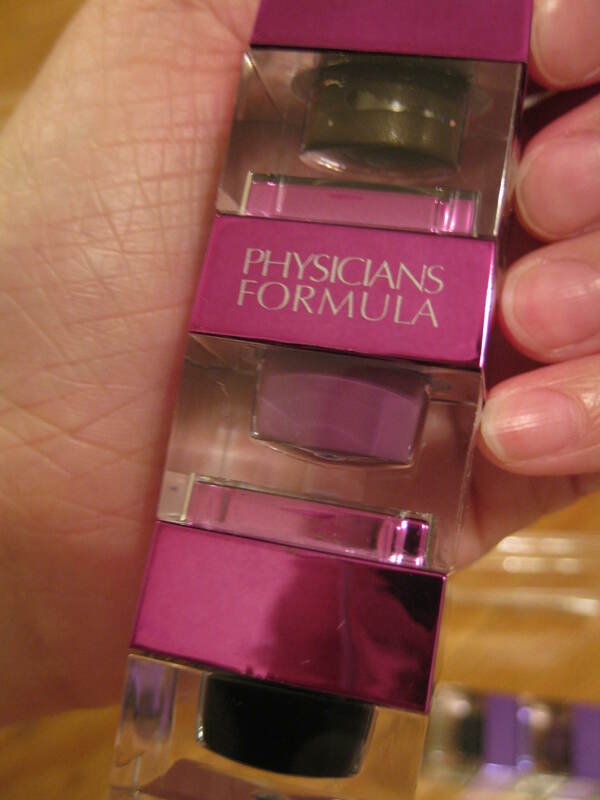 Overall, these Physicians Formula liners deserve an B+.